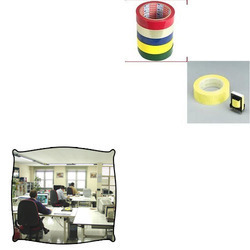 We are offering wide range of Polyester Tapes for Office. The offered polyester tape is available in different sizes, grades and thickness so as to cater the broad demands of the industry. These are accessible in different colors and thickness as per the customer’s requirements. Looking for Polyester Tapes for Office ?